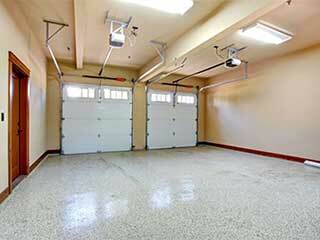 Our team at Garage Door Repair Hollywood is utterly committed to guaranteeing your satisfaction. You won't find another company as dedicated to safety and security as much as we are. When it comes to garage door openers, our experts can install and repair every type out there, whether they belong to Chamberlain, Genie, Craftsman or any other name brand. These units operate similarly to a conveyer belt, by employing a sturdy rubber belt as part of its pulley system. This type is often preferred for its relatively silent operation, although belt-drive openers do tend to be more expensive than the other main types. Openers of this type use a direct connection to the door, as opposed to a belt or a chain. This means they are comprised of very few moving parts, and therefore require less maintenance. Chain drive units are the cheapest type of door opener available on the market. They are also the loudest. They operate in a similar way to the belt-drive units, except they use a chain instead of a belt. They are very strong, and can usually power heavier doors, however, they also require much more frequent maintenance. Aside from the drive system of your opener, which will determine how often adjustment or lubrication is required, there are other parts of the opener that can break down. The motor gears can wear out or break, which will render your door inoperable. The interior circuit board can also suffer from a variety of malfunctions, and if it gets fried it could prevent you from being able to use your opener at all. Our technicians can repair these components or replace them, and during our regular maintenance appointments, they'll perform a thorough inspection of every part of your opener and make sure the gears and the electrical circuitry are in a good working condition. If you are looking to get a new unit and are looking for a company that can perform the opener installation to perfection, or already have an opener and need somebody to repair it, our experts at Garage Door Repair Hollywood can help. Call us today.